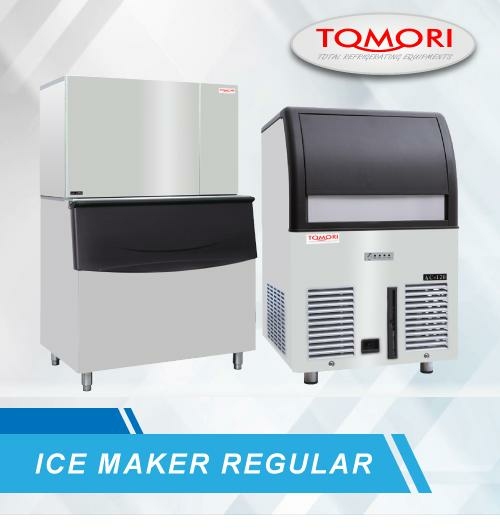 Tomori Cold Storage is an innovative product range of Tomori who focus on lower operating cost of cold storage and reliable products. So that Tomori cold storage products can provide value to each of our customers. Cold storage is like a large or super-large freezer consisting of cooling units and insulation panels. Tomori Cold Storage use PU (Polyurethane) insulation panels with a density > 40Kg / m3 which has excellent insulation properties. For large capacity cooling machine using Bitzer (Germany) and small capacity using Copeland (USA). 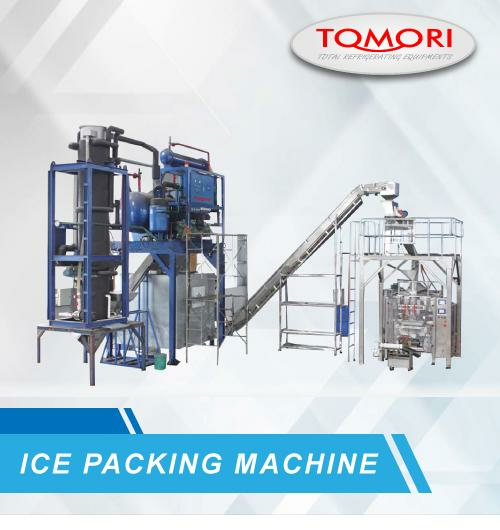 It is very important for you to work with an experienced company in the field of cold storage, and of course Tomori always committed to provide a high quality product with low operating costs and durable for long periods to make sure our customer get the most of it's value to create more profit. 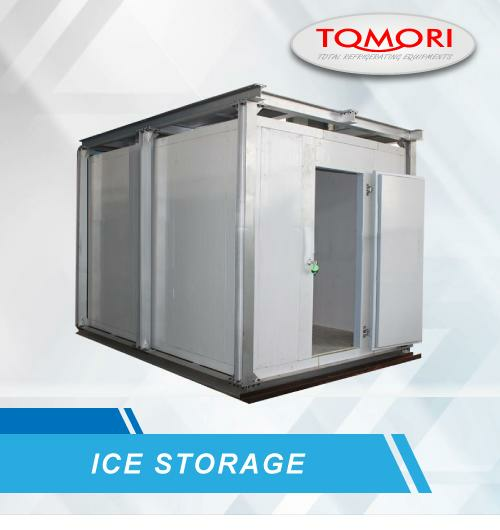 Tomori cold storage system is the system frozen storage consisting of storage space insulated (insulated) with a special material to prevent heat absorption and equipped with air-conditioning machines (Chiller) powerful enough so as to maintain the temperature of freezing room in order to remain at a certain temperature as needed cooling , Cold storage Tomori biology commonly used in business, industry, military, florist, agriculture, pharmaceuticals, logistics, hospitality, and food processing. Bitzer (Germany) compressor, good performance, low noise, and high reliability. World renowned brand refrigeration accessories guarantee longer service time. The automatic high-precision digital controller is easy to operate & efficient. Tomori had developed special PU sandwich panel with unique insulating properties, also more low weight and high durability. It has a very high index of insulating ability that makes the cold storage operate with lower cost and will keep the chiller unit long lasting with extra low maintenance cost. Surely will benefit the cold storage owner for long period of cold storage operating. Polyurethane (PU) Insulation material, more thatn 40kg/m3 density, excellent heat insulation performance. Available with 100mm, 150mm, 200mm, 250mm panel thickness for optional, most widely used is 100mm and 150mm, for room temperature above -10ºC. For -10ºC ~ 30ºC should apply 150mm thickness. Double layer material for coloured steel, stainless steel, galvanized sheet, embossed aluminium sheet. Mostly with 0.326mm colour steel for durable quality with lowest initial purchase. Wide temperature application range, small contractility even in low temperature environment and non fragile. Tomori stainless steel PU insulation panel layer are apply SUS304 for rust free and durability. Suitable for sea side cold storage application. Tomori embossed aluminium PU insulation panel are extra strong with strong aluminium layer. It's apply to cold storage floor for special application of heavy load. 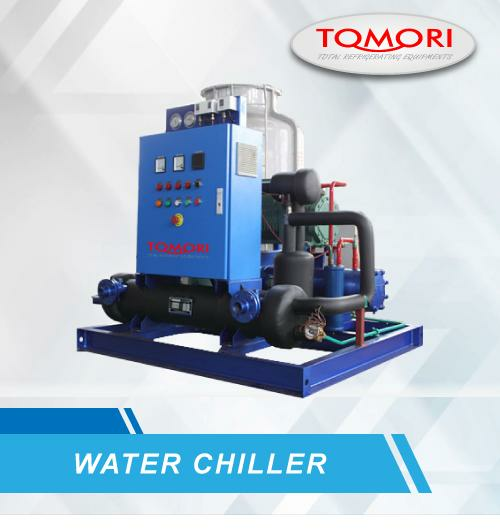 Tomori R&D develop special technology for compressor cooling unit which are the most efficient cooling system in cold storage field. This unique cooling system very efficient and effectively reduce the electricity consumption, and will affect to the operating cost. 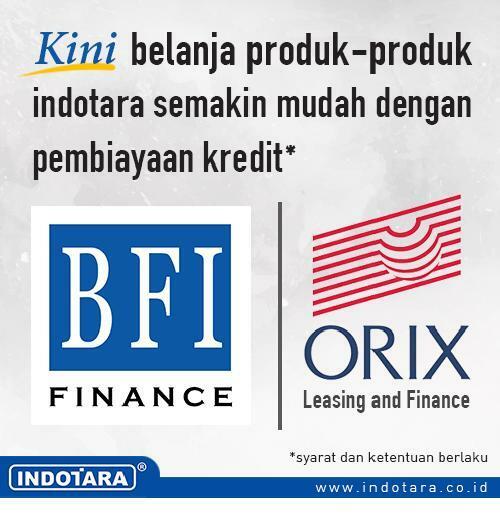 Tomori focus on low cost operating system for big impact to customer value. In other hand our PU Sandwich panel also perform excelent to insulate the cold storage room that could help cooling unit to reduce the operation cost too. By this two combination, Tomori cold storage package are the most low operating cost we offered to our customer. We help you to save the operating cost and increase your benefit and profit. Tomori cooperate with Germancompany Bitzer and USA company Copeland for the compressor unit to gain the best performance available today. 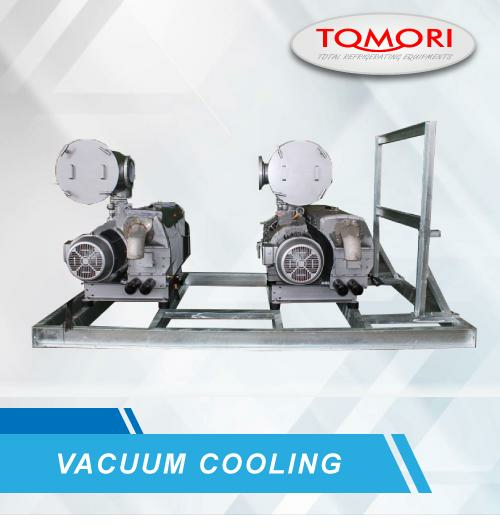 Tomori cooling unit with USA Copeland sealed type compressor (Air Cooled), are suitable for room temperature not lower than -10ºC. For example application for food, vegetables and fruit cold storage room. Sealed type compressor benefit : less noise and extra durable. Tomori cooling unit with Germany Bitzer semi hermetic type compressor unit (air cooled) are suitable for low temperature room lower than -10ºC such for fish, chicken, meat storage room. Semi hermetic compressor are easy to maintenance and big capacity of cooling power. 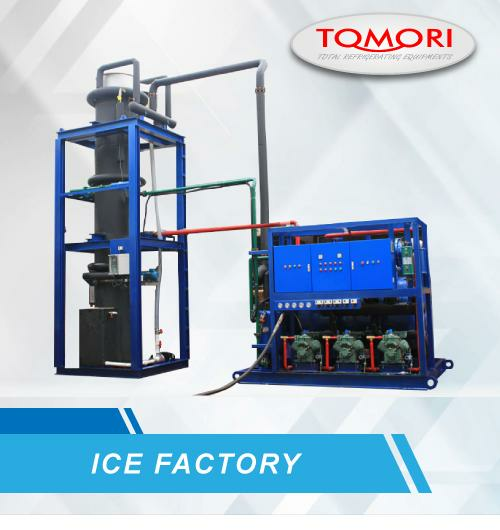 Tomori cooling unit with Germany Bitzer semi hermetic type big capacity compressor (Water Cooled) are suitable for extra low temperature room lower than -18ºC such for pelagic fish, chicken, meat storage room or blast freezer. This kind of cooling system is highly efficient with high power of cooling ability (more than 300m3 room).